Are you up to test your physical strength and finish the race in the long and arduous Great Wall of China? The Great Wall Marathon is the annual marathon race held on May along and on the Huangya Pass, Tianjin section of the Great Wall of China, East of Beijing. This marathon is considered as the first and longest running international marathon whose course is entirely on the Great Wall of China. 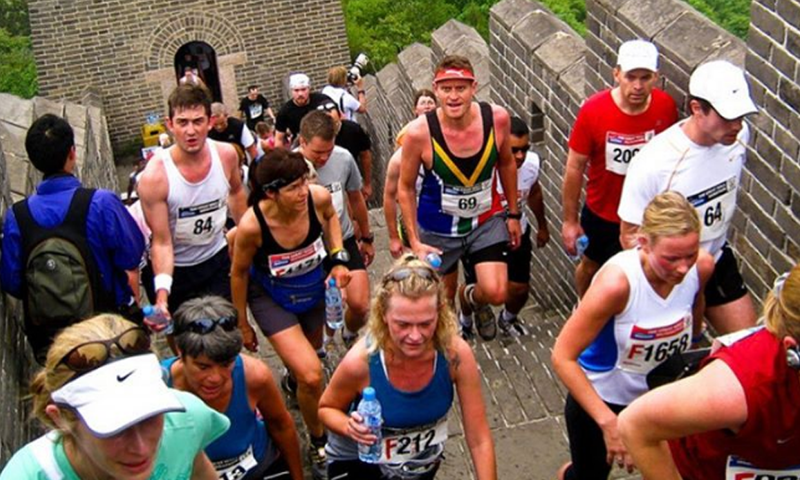 Established in 1999, the Great Wall Marathon has become revered as one of the world’s most challenging marathons. This is not your typical marathon as it requires high stamina and rigorous physical strength to beat the 5,164 stone steps and many steep ascents and descents. Not only does this marathon offer a full selection of runs including a full marathon (42.2k), half marathon (21.1k), 10k, and 5k distances.